No Cuts, No Fees, No Debt Crossposted from Red Pepper. Next summer, the class of 2015 will proudly wear their graduation gowns. As the first generation to finish a 3-year university course since the trebling of tuition fees in England and Wales, they will enter their brave new futures with an average of over £40,000 of debt. That is nearly 80% more than for those who studied before the £9,000 tuition fee cap. The statistics are grim: most graduates will be paying their debts into their 40s and even 50s, adding an extra burden at the time they are likely to have children and be paying off mortgages. An estimated 60 per cent will never pay their loans back in full before the remaining amount is written off after 30 years; this compares to a 15 per cent when the write-off time 25 years. If that is not enough, a real interest rate that varies between 0 and 3 per cent was introduced with the student loan reforms that came into place with the new university funding system in 2012. Student loan repayments are income-contingent: that means they are fixed-rate deductions of salary once it exceeds a certain threshold. That threshold was raised from around £16,000 to £21,000, the government arguing that no prospective students would be held back by raised fees because they would not need to pay them unless they earned enough. The government’s argument is based on the understanding of debt as an economic burden, not a social relation. It is not the case that debt only affects people when it affects them financially. There are other issues to consider, for example, to what extent does the prospect of repayment dictate graduates’ life choices? Debt and the commodification it brings about dictates the type of knowledge that is valued and produced in society. Applications for social sciences saw a decline after 2012, and so did arts and languages. Degrees are becoming a commodity, subject to a cost-benefit analysis at the point of application: should I follow my passion or instead go for a safer option that will get me a job? Or should I opt out of higher education completely? The UK government’s austerity agenda forms a direct continuum with three decades of neoliberal policies worldwide. They steer society away from critical thinking and into the realm of hard, money-making business – it is hardly a coincidence that the higher education reforms were the first austerity measures the coalition announced in 2010. Sinister as it sounds, the political nature of the changes is demonstrated by the fact that they are already failing after only a few years. The estimated non-repayment ratio of student loans, now at 45 per cent, has been rising since the implementation of the reforms and is only a few percentage points from where they have cost more than the system they replaced. 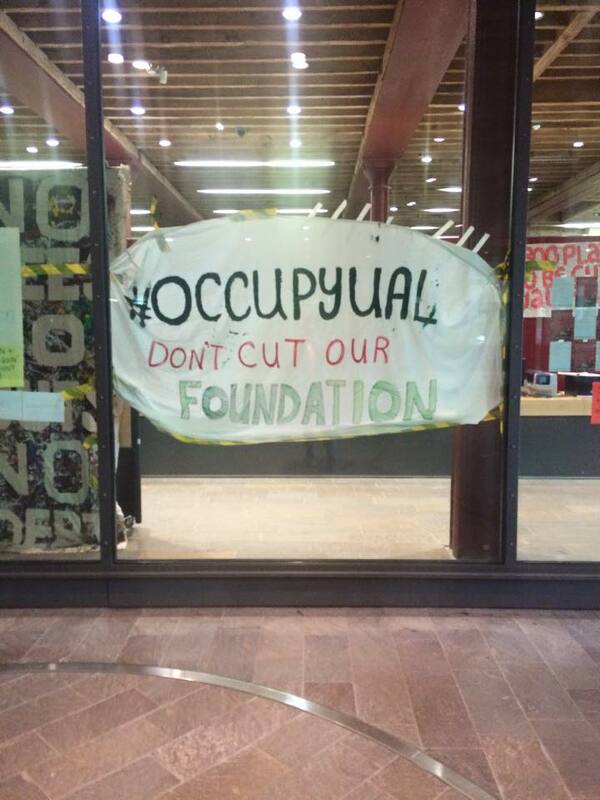 Many departments, especially those of arts, humanities and languages, are struggling. It is also important to note that while academic and support staff’s real wages have been declining for five years now, managers have benefited. Marketing has become a vital part of higher education institutions and outsourcing of services is increasing. The austerity and privatisation agenda has winners, despite the majority being at the losing end. It is crucial to recognise that a different approach to higher education exists; one that recognises the intrinsic value of learning. 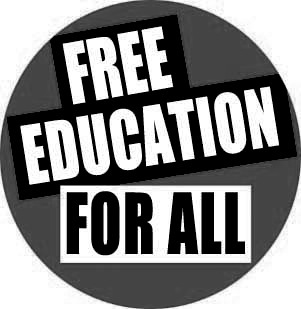 Germany recently scrapped tuition fees due to popular resistance and Scotland has maintained free education for home students. Nordic countries too not only subsidise education but offer grants for students. This means levels of maintenance loans are much lower, and truly enables young people from all backgrounds to access university. Students are under less time pressure to complete their degrees, and can freely explore their interests in a range of subjects. These countries fund their public services with higher levels of and more progressive taxation. With the austerity agenda failing as it was always set to, it is clearer than ever that Britain needs real alternatives to level out inequality in both income terms and socially. 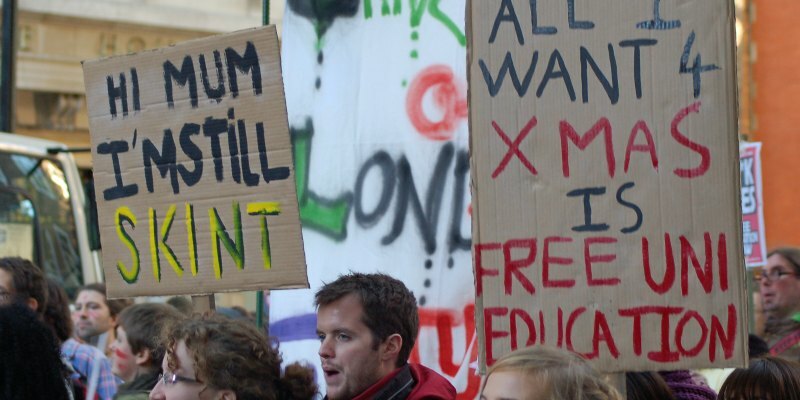 Scrapping tuition fees could reverse the trend of growing inequality and open up opportunities for those who now can only dream of higher education; it could also transform academia from the current consumer mindset of students towards critical thinking and feeding imagination, thereby fostering much needed systemic change.